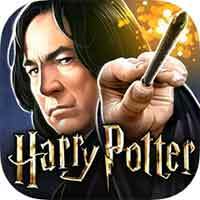 Guide for Year 3 Chapter 10 Harry Potter Hogwarts Mystery Among Friends Walkthrough – Your worst fear conquered, the curse broken, you are once again the triumphant Vault-Breaker of Hogwarts. 1. You broke the curse on the Vault of Fear. Now it’s time to celebrate with Butterbeer! a hand-drawn map of the Forbidden Forest, and an arrow that’s missing the arrowhead. Why there’s a letter “R” in the corner of the map ? Everyone will look at Ben, because last year we found letters addressed to Ben that were signed ‘R’. He’ll said that he don’t remember anything after being frozen in the cursed ice, and Ben will ask if you believe him ? You : R’ went to great lengths to send you secret messages, Ben. and no one else lost their memory after getting frozen by the cursed ice. If you know something, you have to tell us. Rowan : I hope you aren’t lying to protect us. We can’t help each other unless we know what’s going on. Ben : I’m not lying to protect you. I promise. Bill : Let’s worry about mysterious maps and unexplained memory loss another day. Now finish Celebrate with your friends with 1 star to pass in 3 hours. Then you’ll meet Hagrid and Professor Dumbledore, He expect to see you in his office at the appointed time. Dragons in the Common Rooms, werewolves in the greenhouses. Voldemort himself lurking in every cupboard. Discuss Events with 1 star to pass in 8 hours with Professor Dumbledore. When you’re done he’ll explain that he’ve been seeking the world’s finest Curse-Breaker. One who has intimate experince with the Cursed Vaults. She was an exceptional pupil of Dumbledore, back when his beard was a little shorter. At present, she is exploring recently discovered ruins under the Brazilian wizarding school Castelobruxo. When next year begins, she will be here at Hogwarts. You have once again directly disobeyed me, yet you have once again broken a curse that threatened us all. I am running out of excuses for you. Break one more rule, and i will not be able to insulate you from serious punishment. then Professor Dumbledore will give you 100 points for Slytherin.